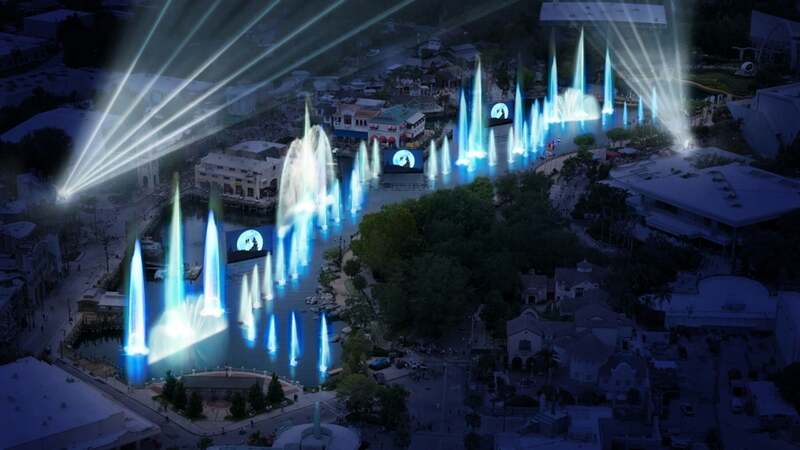 In celebration of Universal Studios’s 100-year anniversary in 2012, this nighttime lagoon show presents the most iconic movie moments in Universal’s film history on state-of-the-art water curtains, together with dazzling fountain effects, fireworks, and an incredible soundtrack. This is simply the perfect way to end your day at Universal Studios Florida and should not be missed. This show is performed at park closing (but double-check the time in your guide map — they may adjust the times). If you want a front-row seat along the lagoon, you may get wet. 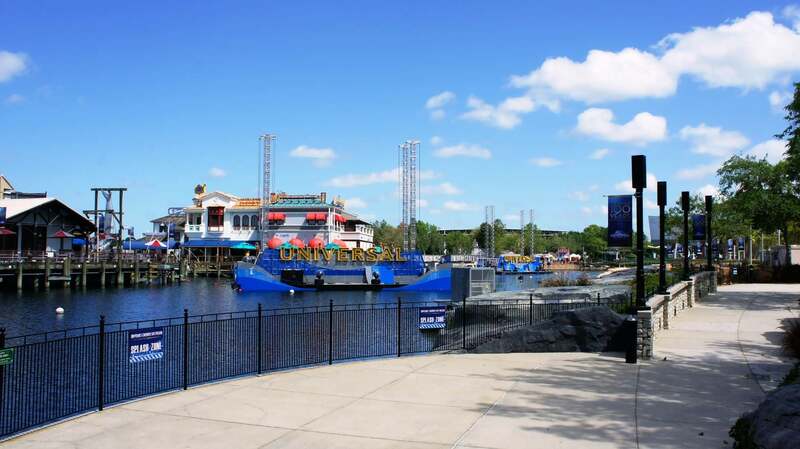 You don’t need to worry about getting soaked, and you will never be directly sprayed by the fountains — but since the jets of water shoot up quite high, a little wind can carry sprinklings of water out of the lagoon and into the audience. Where was the best place to watch the show? 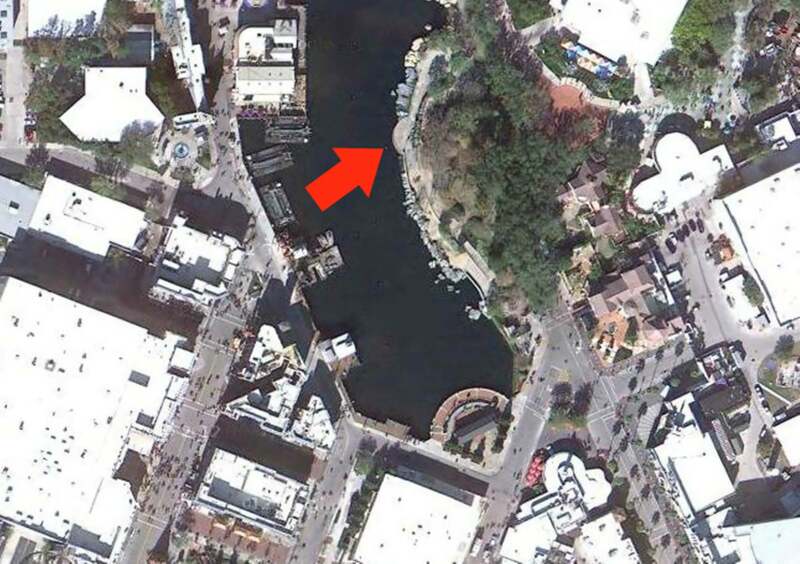 We recommend this spot because, as you can tell from the image, the lagoon slightly curves around this point. So watching the show from here gets you a fantastic perspective on the entire performance. Also, the Central Park area is rather romantic in the evening. Last year was the 100th Anniversary version of Cinematic Spectacular and it was spectacular!I loved how the fireworks paired with the films and it made the films really come to life. Excellent fireworks and the display in the lagoon is superb.Simply the best way to end a perfect day at Universal! My wife and I are big movie buffs and we really enjoyed the Cinematic Spectacular. The combination of all the classic movie clips on the water screens and the fireworks very well together. It was a beautiful night and the sights and sounds were perfect. I recommend this show for everyone. It's well worth staying for closing to see. Great way to End and Unforgettable Day! So after spending all day in the parks what better way to end the day other than sitting at the Lagoon at Universal Studios and watching Universal Orlando's Cinematic Spectacular. And every time I watch this show I find myself falling in love with something else in the show. And whether you like how it starts off with the stars, where it's horror, or where the minions say "Whaaaa?" at the beginning of the comedic part of the show. But my favorite part by far is how the fireworks sync up to the show. 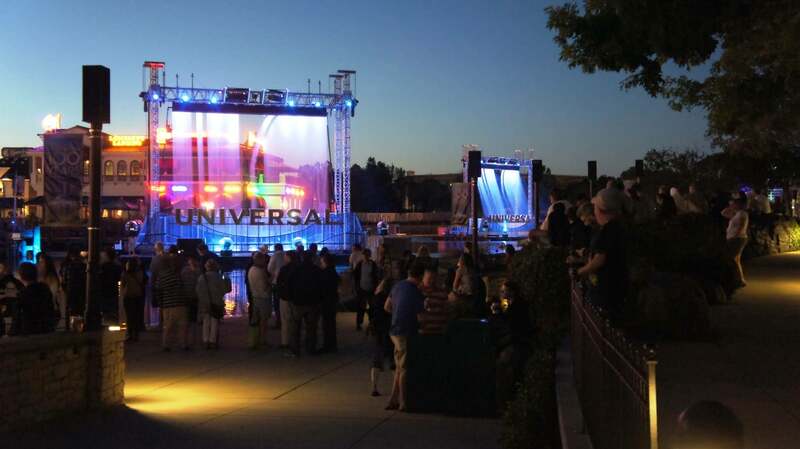 Whether it is your first time at the parks or your 1 billionth time I would recommend to anyone to end the day sitting at the lagoon for Universals Cinematic Spectacular 100 Years of Movie Memories.